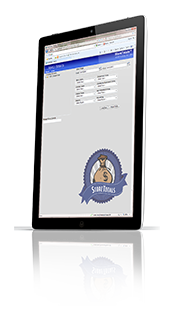 StoreTotals - Mobile Version - 4690 Point of Sale Software Developers | EDJ Enterprises Inc.
During the 2013 International Retail User Group Conference in Anaheim, CA, EDJ Enterprises announced a new mobile version of their StoreTotals application. The new version remains browser based, but when users launch the application, the site will be formatted to the device being used. With the new mobile version of StoreTotals, user permissions can be customized to grant specific access for regional, district, and store managers to view the information relevant to them on their iPad or tablet device. View accounting data which is typically difficult to access. Compare historical accounting data by the store, departments, cashiers, cashiers’ department group, etc. Monitor accounting data real time. Customize your browser view to see the type of data important to your company. View accounting data from mobile devices — great for regional and district managers. StoreGazer 3.0 with a more simplified navigation and the ability for users to customize their personal work grid to display what is most important to them. A new enhancement to ESCAPE which stores the data in a SQL database to significantly increase the speed of searching journals. A web version of COPS which allows authorized personnel the ability to manage user permissions through a standard browser.